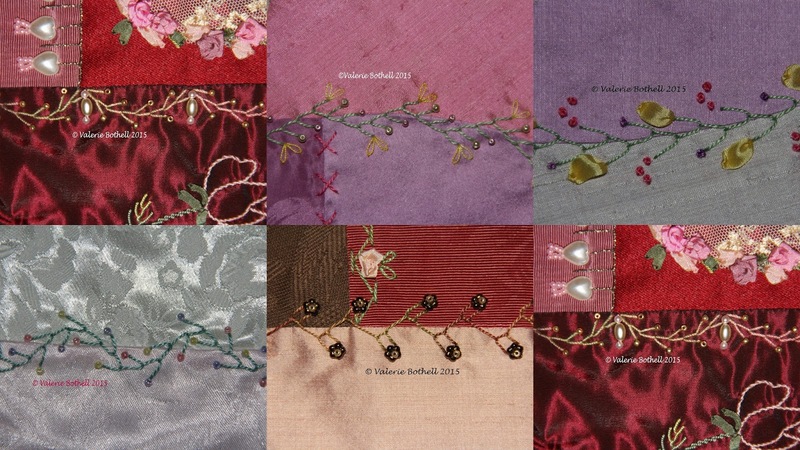 Valerie Bothell: Second Week of Joyful Embellishments! 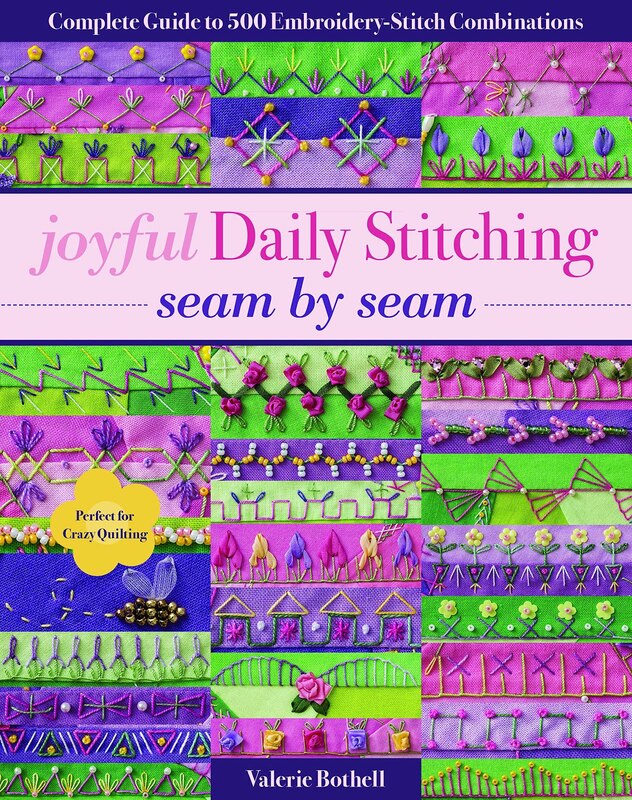 This is a collage of the second week of Joyful Embellishment stitches. We are having a great time and I just love seeing all the other stitches that are being done by other members of our group! Here is an update on the project that I am working on. 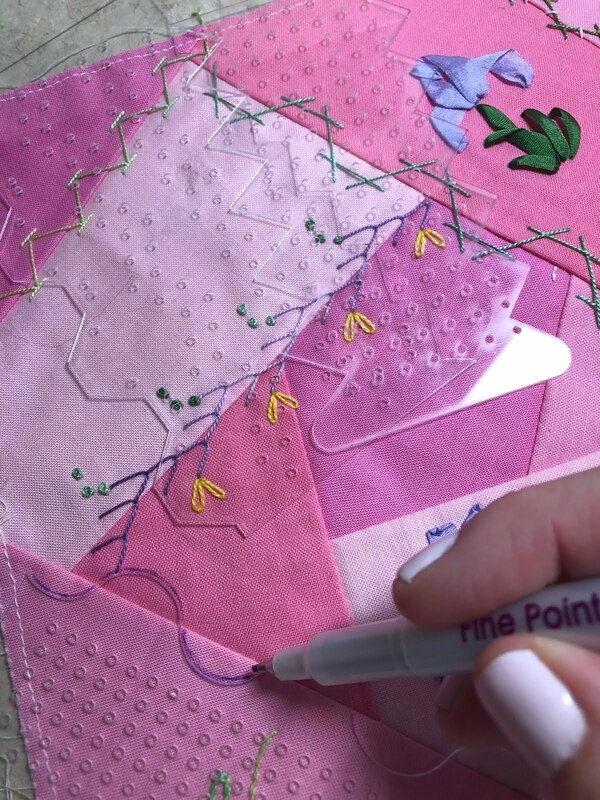 The whole idea of the Joyful Embellishments group is this: if you do one seam a day, 5 days a week, by the end of the year you will have 260 seams done! 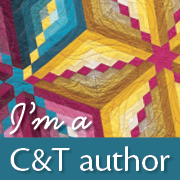 Depending on how big your crazy quilt is, you could complete a whole one in just one year. If you would like to join us, it isn't too late!